I had one just the other day. I was walking by a bakery and the smell of freshly baked bread immediately took me back to when I was 10 years old living in Argentina. You see, our house was situated right next to a bakery and every morning I woke up to this glorious “fresh baked cake” aroma. Just like in cartoons, I would picture the trail of scent making its way from the ovens to my nostrils as I lay in bed. Inevitably, I would wake up with my mouth watering and be delighted when I walked into the kitchen and saw the bakery’s white package with the sweet smelling baked delicacies that my sisters and I devoured. Those were good times and if I could bottle a scent it would be this one. Our brains are magnificent in that just by thinking about a scent, it can magically conjure the essence of that aroma and take you back in time. As it turns out, your nose is a time machine that helps you travel back in time. Who can forget this scent? I don’t have it here but I can smell it now. Nothing screamed sun, beach, and vacation like this unique, tropical and happy aroma. I feel like there are some scents that can’t be adequately described, they just need to be felt. But if I’m going to try, it’s like green, hay, water and warm weather all combined into one. 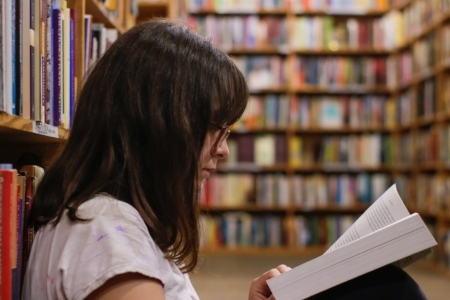 As a huge book nerd, there was nothing like the classic scent of time, old books and mustiness that abruptly greeted me as I walked into the library. This is what the sun would smell like if you could bottle it. Nothing like spreading those sun-drenched clean sheets over you and fading into a cozy, fragrant sleep. Pure bliss is what this was. The distinctive smell of colorful wax always takes me back to my glory days of drawing. This one smells like nostalgia. I loved watching my mom’s cleaning regime which always ended with her slathering Pond’s cold cream on her face every night before going to bed. I can still recall the strong, flowery, clean smell. OMG, I loved the smell of this gum even though the taste lasted like 10 seconds only. The best part is that it’s still around and has the same intensely sweet smell. Not only can I smell it now but I can also hear the bounce of the rubber ball hitting the pavement. Now that was my childhood! For the love of plastic! The mask with the eye holes you could barely see out of and the dizzying effect of the plastic scent sure made for a challenging night. 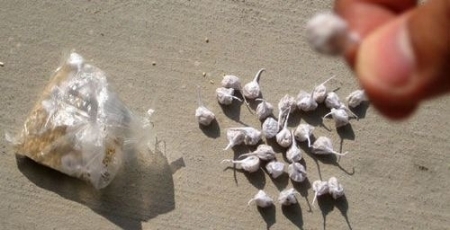 Remember those little fireworks you threw on the ground with the loud pop and smell of burnt power? Ah, I can smell it now. For now, I say close your eyes, take a long deep breath, and tell us in the comments what other smells you fondly recall? Hello! I’m Cynthia. I am a wife. I am a mom. I am bicultural and bilingual. I am a marketer. I am an entrepreneur and I live in Los Angeles. I blog honestly and from the heart. I am 47 and in the best stage of my life. I strive to change the negative concept of aging in our society and empower women to rock their age. My blog Rocking Over 40 is an empowerment platform with the goal of building a diverse community for women over 40 who want to be seen, heard, noticed and valued all while achieving success in various areas of life – both professionally and personally. As women living our second adolescence, role models are few and far between. The entertainment, media and advertising world covets youth, and aging in our society generally has a negative connotation. A lot of women say that once they get into their forties and fifties, they begin to feel invisible. Well, we will have none of that!